At the beginning of every semester my blood pressure reaches explosive levels and it can always be credited to the shell shock that is the "Required Textbook List" for college. Here I was all summer, sipping some cool lemonade, reading a nice novel and enjoying the peace and quiet. Not a care in the world. I've set up a payment plan for my college tuition, bought a few pens (the nice ones with the rubber grip), a notebook to take some notes. All is right with the world and I've got everything under control. When suddenly klaxon sirens wail and the emergency broadcast system, beeping it's impending doom, is informing me that "No, This is not a test!" There is an army of inflated overpriced textbooks heading your way and they are coming to destroy your bank account! Aircraft carriers are poised off the Pacific coast, fighter jets are deployed, God help us all! Okay, so maybe it doesn't happen as dramatically as this, but to a college student who has already just forked out multiple thousands of dollars for tuition, getting hit with $600+ in required textbooks feels a lot like an assault on our already drained bank accounts. Particularly disturbing, especially if you are a new college student, is how carelessly the word 'required' is thrown around. You may show up to school with these 'required' books only to be informed in the first 5 minutes of class that there has been a general breakdown in a line of communication. Turns out that book is expendable! Why exactly institutions are so loose with informing students of books they will seriously and honestly need, I have not fully decrypted yet. 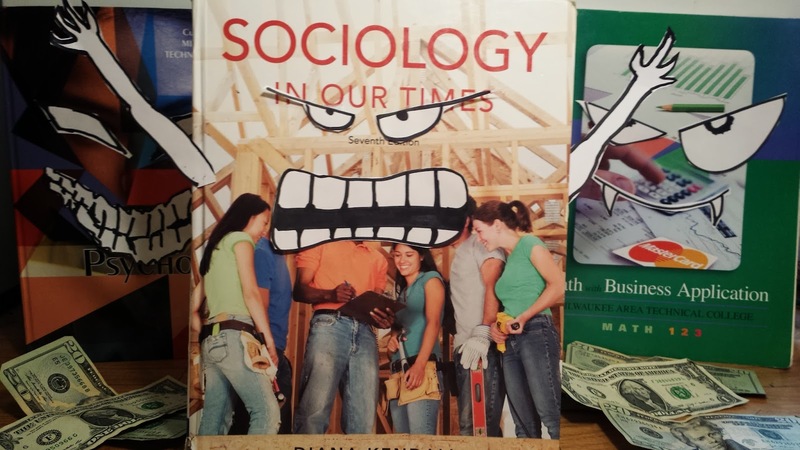 I feel similar confusion as to why the assigned cost of these textbooks, at your school's bookstore, are so inflated ($180 per book is a hard pill to swallow). It may be that because so many students are using loans to get through college that there is no great inspiration to attempt to save them any money. This scenario is especially painful if you are paying for tuition and textbooks out of pocket where every dollar spent comes directly from the money you earn everyday. Buying required textbooks at full price is simply not possible and would cause that student to go broke. Remember though, whether you're borrowing money for school or not....you are still paying for that extortionate textbook in the end. However, there are protocols that we civilians can take in order to lessen the fallout from this financial bombardment. "Remember, whether you're borrowing money for school or not....you are still paying for that extortionate textbook in the end." Never buy your textbooks early..ever. Especially in your first semester, you will have the urge to embrace this new horde of educational tomes as your new overlords. Belay that urge! Most instructors/professors are your allies and will inform you on the first day of classes whether or not certain books are required. If they didn't do a good job of convincing you, just ask them again after class. "So we need this book, but we don't need this book?" Most of them are happy to save you from financial ruin. Amazon is your greatest weapon against the occupation. 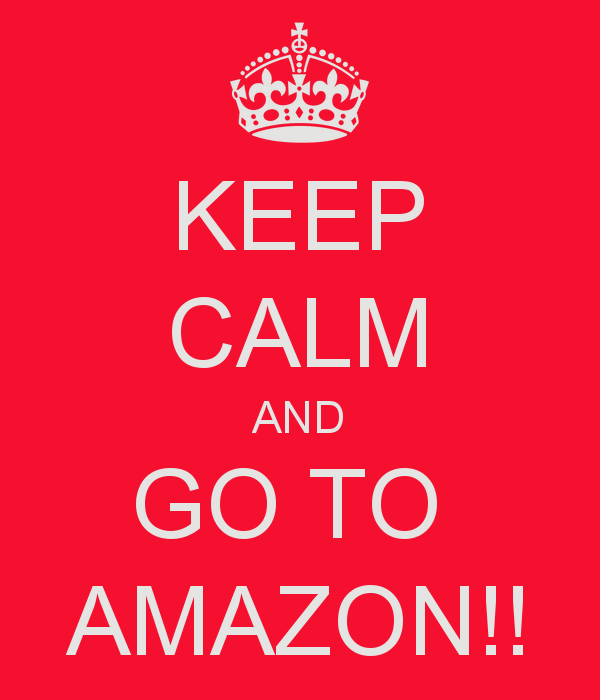 Amazon is your salvation, it will assist you in times of need, in Amazon we trust. First off, if you didn't know, Amazon runs a program in which college students get Amazon Prime for free for 6 months! What does this mean for you? Not only does Amazon sell new and used textbooks at sometimes less than half the price of your school's bookstore, but having Prime means you get them delivered to you in 2 days for free! 90% of the time you will not find your required textbook cheaper anywhere else than Amazon. Obeying Rule 1 and 2 could cost you as as little as $80 the semester as opposed to an egregious $600. Also remember that you can rent books fairly easy from Amazon as a student prime member. Renting from Amazon is a super affordable way to get a textbook. Just remember to mark your calendar so your books don't go AWOL. Research this so called 'Custom Textbook'. It's not foolproof but many times these Custom Textbooks are simply comprised from a normal textbook. If you research what book and edition the custom one was made from, many times you can simply buy the original book for far less money. Case in point; this semester I found the original version of a 'required custom psychology textbook' for $15 on Amazon. This same 'custom' version cost $150 at my school's bookstore. When I got the original book in the mail I compared its content with the 'custom' one and the only difference was the cover picture! Be advised though, you must do your research, and purchasing a book this way is at your own risk. There may be much more of a difference between the two, so do your research. If this research shows promise proceed back to Rule 2. If your 'custom textbook' is truly a custom book (it is a binder type book that maybe your professor put together himself)...well then diplomacy has failed, proceed to Rule 3.b. Craigslist is your wing-man. When in doubt if you are forced to buy a custom textbook its time to rely on our ally Craigslist. Because custom books typically cannot be found on sites like Amazon (although you still can find them if you search hard enough), the next best thing is to find fellow your students who have been through the gauntlet and are willing to sell you their textbooks. It's pretty easy...just do a craigslist search in your city under books and you should see stockpiles of textbooks being sold. Remember, you're buying from craigslist here, so bring a squadmate. "90% of the time you will not find your required textbook cheaper anywhere else than Amazon." Following these commands can end up saving you a lot of money each semester. Heck, now maybe you'll be able to afford food rations for the next few months. The most important thing to remember is be patient and look for the cheapest price you can. Do not be fooled by buyback prices, they fluctuate every semester so make your purchase based on low cost. Never ever buy a textbook at full price if it can be avoided. There you have it. Simple rules to follow to keep you a lean, mean, educationally effective fighting machine. Follow them and you should save yourself from the agony of defeat. So when the hordes of required textbooks come our way, stand firm soldier, and stick to the contingency plan. Dismissed! Don't forget to check ebook selection! Sometimes they're free, sometimes much cheaper than the textbook, not to mention lighter! where the electronic version is twice as much as the book version. what is up with that?! doesnt even make sense.